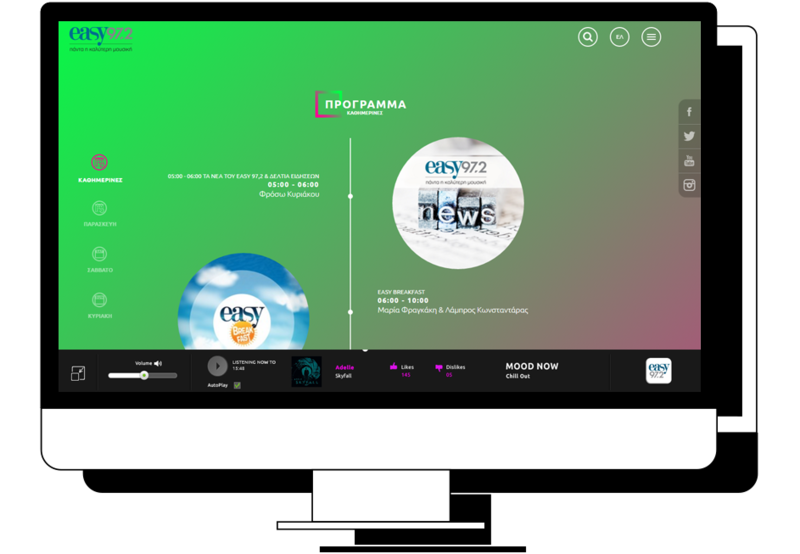 Antenna Group and Easy 972 radio asked us to design and develop their new desktop and mobile sites. The client was after a live radio stream as well as a hub for their events, contests and featured playlists. We wanted to visualize the actual music played on the radio. Literally. So we designed a website that changes appearance in real time to reflect the mood of the music playing. As the radio streams live music, the whole background of the web site changes colour to reflect the mood of the song playing. The idea is projected throughout the entire web site to accompany streaming music. The web site rolls along with the music through a rich engaging colour- palette on a fluid piece of design. In order to synchronize live streaming technology with the visual design of the website we developed a front- backend technology that bridges live streaming data with the front end of the web site. Our development team implemented the live radio interface and technology as well as various other site components. The web site was built and developed with Umbraco content management allowing administrators full editing capabilities. 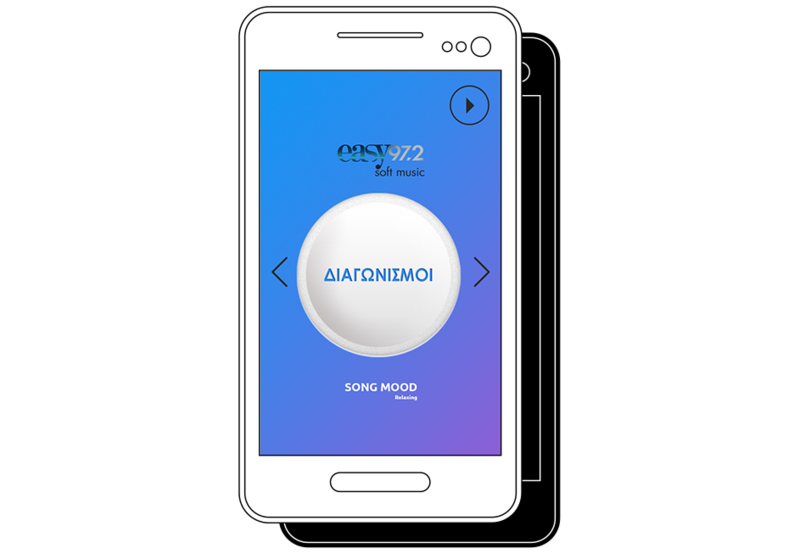 All playlists, contests, generic data about Easy 972 as well as all user accounts and data are fully managed by the site administrator.